Want To Learn How To Write Music That's Completely Unique AndInspirational? If you want to become a legendary songwriter/musician, you are about to discover something very valuable. And this is what the "greats" have in common. They all create, create, create. They don't let anything slow them down, and as a result they write many albums worth of mind blowing music that changes people's lives and are talked about for years. There is a basic principle of psychology that states that "you get more of what you reinforce". Now in a songwriting sense this simply means creating many songs at a fast rate. So you would expect that a songwriter who is seen as being "prolific" is very likely writing music everyday. This suggests some very important things about the attitude of these musicians. They obviously ENJOY sitting down to write music and are PASSIONATE about it. 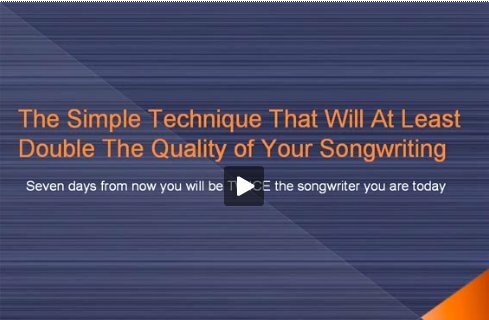 Without this drive it would be difficult to devote the time to be a prolific songwriter. They are curious as to what new possibilities and musical ideas they can explore. Prolific, great songwriters are this way because they've been acknowledging this law for long enough, and have built up their "songwriting muscle". As a result of this they spend much of their time in a "blissful creative high" where there’s no end to their creativity. There are a few other secrets to being a groundbreaking, prolific songwriter. Fortunately you can "shortcut" to this by learning about the important concepts in my book "The Songwriting Genius Within You". This book covers all you need to know to be an exciting, prolific songwriter who people talk about and look up to. 1. Firstly, write music as often as you can. 2. Never judge the quality of your ideas as you are in "creating" mode. A great way to make this easy is to record your creative sessions. Use a simple recording program such as Audacity to record every second of your performance.